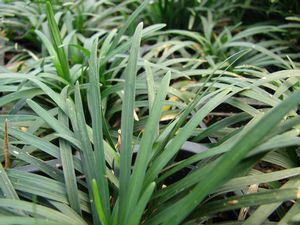 At 3”, this dwarf variety of Mondo Grass has very dark green, grass-like foliage. A dependable performer if given the shady moisture-retentive soil it likes, ‘Nana’ will serves as a low maintenance lawn substitute. The thick mat of roots will collect run-off when planted up against structures. 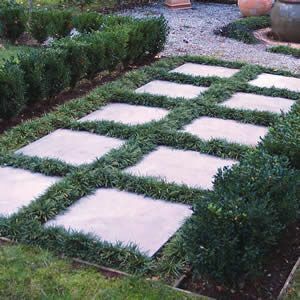 Spreading slow to moderate, it is also an excellent choice for planting between stepping stones.